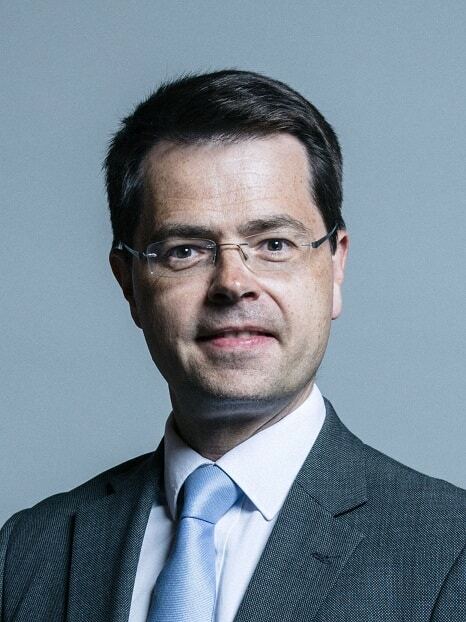 Secretary of State for Communities, the Rt Hon James Brokenshire MP has written to Thanet council to confirm there will be continued intervention to speed up the process of the isle’s Local Plan publication. Thanet is just one of two authorities, the other being Wirral, which received letters written on January 28 to say “continuing failure to get a Local Plan in place” has resulted in the intervention. In November 2017, the government confirmed it would consider intervention in 15 local authorities, including Thanet, where there had been a failure to produce a local plan. In March 2018 the intervention process was continued in Thanet, Wirral and Castle Point. A team of planning experts led by the government’s Chief Planner provided advice to the Secretary of State on the next steps. These will include the Secretary of State directing Thanet to make amendments to the local development scheme if it thinks it is necessary. The action comes due to Thanet’s failure to adopt an up to date Local Plan. In January last year the plan was voted down by Thanet councillors with 35 members against putting the plan forward to the next stage and 20 in favour. The vote, which led to the end of the UKIP administration, was mainly based on the change of status for Manston which proposed to ditch aviation-only use designation and replace it with a mixed use for development. 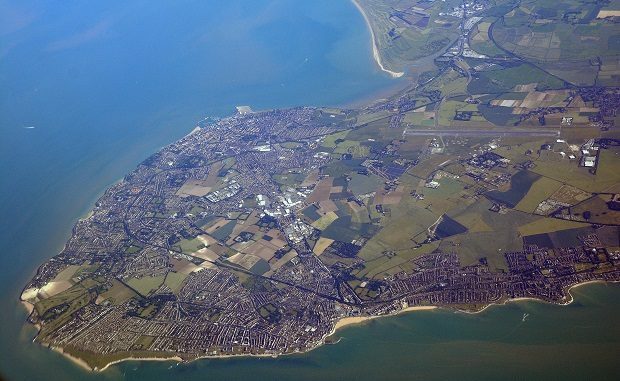 In July Thanet councillors voted to move forward with a new Draft Local Plan which will mean the re-allocation of 2,500 homes to greenfield sites in the villages, Margate and Westwood as part of a pledge to retain aviation use at Manston airport. Members of UKIP and Labour spoke vehemently against approving the option, saying the plan was unsound and would lead to rejection at the public examination stage and result in the government taking control of Thanet’s housing and infrastructure proposals. In the letter to Thanet council James Brokenshire says intervention must now take place due to the lack of progress made in the plan. The last plan was adopted in 2006 and ran out in 2011. The letter states: “Thanet have consistently failed to bring forward a Local Plan in accordance with its Local Development Scheme as legally required, having failed to meet Local Plan milestones in at least six Local Development Schemes since 2006. “Thanet lack of a five-year housing land supply further highlights the authority’s failure to plan for and deliver the homes people need. He has also highlighted his concern at Thanet’s low level of housing supply and delivery. A Thanet council spokesperson said: “The council has significantly progressed with its Local Plan which was submitted to the Planning Inspectorate on 30 October 2018, with a public examination expected in the coming months. The council has reviewed the actions in the Secretary of State’s letter and can confirm that arrangements are already in place to meet the majority of requirements set out, any others will be incorporated into our processes without unnecessarily delaying examination of the plan. Labour were in office when the existing plan ran out in 2011. The incompetence in governing Thanet knows no Party bounds. The draft Local Plan was ready to go out in 2015 after public consultation and various heated meetings when there was a change in control and the incoming UKIP-controlled administration to start all over again so this is why we are where we are. ‘They’ being Labour or UKIP? Labour supports mixed use development on Manston and avoid building houses on agricultural land or surround villages with housing developments or putting the green wedge under pressure. There is a significant concern about both water availability and sewerage capacity for such a large increase too. And the roads are already gridlocked at peak times. The population density if Thanet is much higher than surrounding areas so I question why such a huge increase in housing is necessary? Projections if population based on past trends also don’t support such a large need. Is this in fact based on moving London overspill families here? Yes Mr Grantham – you have hit the nail on the head. Thanet covers a much smaller geographical area than other local authorities – so there is far less available land on which to build further housing. Central Government, when determining housing need, seems to have forgotten than you cannot squeeze a quart into a pint pot . . . The position of the Environment Agency, as I understand it, is that NEITHER use for Manston is consented but environment tests are scheduled for Manston. So environmental tests are scheduled over Thanet main water supply aquifer. Thanet was years overdue for a new Local Plan. But it’s overturned by Bob Bayford and his Merry Men, and some half baked comic cuts version, completely divorced from any idea of reality, is imposed on us instead. The SOS says TDC have got to do it again, properly, or else. Why couldn’t they do that first time round? Whatever your view on Manston airport, it is largely irelevant. Thanet is a region of high deprivation, with an infrastructure that is coming apart at the seamsame, lack of medical and care, schools that are over subscribed and roads that are regularly gridlocked. The ridiculous fairytale of resurrecting a failed airport fir a 4th time must finally be put to rest, and the prevarication and delaying tactics of the airport zealots and plane spotters must be confined to history, allowing Thanet FINALLY to be dragged into the 21st century. The road and rail links are excellent. I’m disappointed but not surprised to see more tedious anti London sentiment posted here. Clearly the mechanics of economic recovery, growth and sustainable economic development are lost on the anti DFL trumpet sound of nonsense. This plan has failed because successive administrations jump ship to gain power to promote their aviation nostalgia project. None of them stay long enough to be accountable for long term delivery. Until the failed airport is put to bed nothing will change with our Council and we all have to suffer endless in fighting and ego at dawn. Meanwhile, if there ever was a need to scrutinise improvements to other local infrastructure then transport then the time is now. Alas our Council would rather focus on 3 flights an hour of cargo lumbering over our beautiful harbour so they can all feel a bit better about their misplaced manifesto nonsense. We have prime agricultural land and the best weather in the country why are planning to cover it in concrete? With the impending ‘brexit’surely we should be planning where our next meals will come from? Build a few greenhouses on Manston instead!